force AMISOM which has been fighting Al Shabaab in Somalia for almost twelve years. 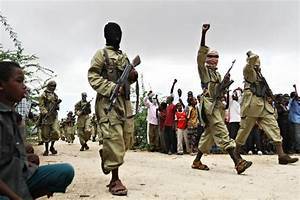 It is the largest Peacekeeping force in Kenya has been fighting against an Al-Shabaab insurgency since 2011 when it sent troops into Somalia to confront the terror group. Ever since Al-Shabab has vowed retribution against Kenya and has been responsible for a range of attacks. The Kenyan troops in Somalia are now part of the six-nation African Union peace-keeping the world with 20,500 troops. It costs $1 billion a year to keep this army in Somalia yet it seems unable to pacify Al Shabaab. It has also paid a heavy price in lives for with some 1,700 Peace-keepers killed and many more wounded. The impact on civilians has been even more devastating. Since 2016, according to the UN, some 4,500 have been killed or injured in the conflict which has also made more than two-and-a-half million people internally-displaced. The United States is supporting AMISOM and is stepping up its n airstrikes on Al Shabaab militants. Although the airstrikes have killed hundreds of Al Shabaab fighters the group still controls large parts of southern and central Somalia and it maintains the ability to carry out deadly bombings and suicide attacks against high-profile targets including the UN headquarters in the capital, Mogadishu. As this latest attack in Nairobi demonstrates Al Shabaab also remains capable of striking into neighbouring Kenya. In spite of a re-energised campaign of US air strikes the political will to give AMISOM, the world’s largest-ever peacekeeping force, the resources it needs to defeat the Islamic insurgency seems as far away as ever.